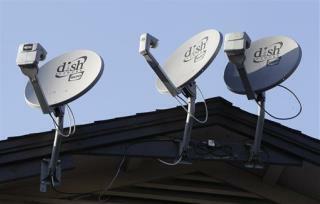 (Newser) – Dish Network is revamping its Internet offerings, with plans to unveil a nationwide high-speed broadband service late next month, sources tell Bloomberg. The service will be developed with sister company EchoStar, which wouldn't comment on the deal, but would say that recent satellite technology advances had made such a thing possible. Satellites can now use higher-frequency bands, improving potential speeds "by an order of magnitude," says an EchoStar VP. Great for those who don't have access to cable or 3G. When dial-up is the only internet you feel like robbing a 7-11 just so you can get some high speed internet over at county lockup. So now every time it is cloudy, rains or snows you will be without internet along with your television. Go Radio! We already pay, which by now is just a tax that the gov sucked up to provide telephone service to the boondocks. Remember that outdated tax on your phone bill which should have been delete decades ago?